Acer Aspire V5 is a family of general purpose laptops great for homes, students, and business. They are available in three screen sizes 11.6-inch, 14-inch, or 15.6-inch with touchscreen available on some models. 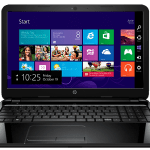 Acer Aspire V5 laptops run on latest processors from Intel or AMD with Windows 7, Windows 8, or Windows 8.1 models available. Acer Aspire V5 laptops are available for all style and budgets, from ultraportable models with 11.6-inch displays to larger models with 15.6-inch display. 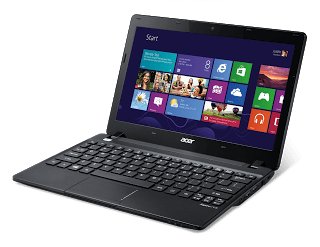 From the numbering scheme Acer Aspire V5-100 series offers 11.6-inch, V5-400 series offer 14-inch, while the V5-500 series come with 15.6-inch display. Some models offer touchscreen, while a couple of the 14-inch and 15.6-inch models offer full HD (1920 x 1080 pixels) resolution. Standard resolution for Acer Aspire V5 laptops is 1366 x 768 pixels. Acer Aspire V5 features a wide range of processors from Intel and AMD with high-end models running on Intel Core i7 processors. 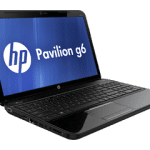 Low end models offer as little as 2GB of RAM onboard and highend models offer up to 8GB of RAM onboard with up to 12GB RAM support. Built-in storage ranges from 500GB to 1TB of hard drive. Acer Aspire V5 features HDMI port, Ethernet, VGA, Wi-Fi, Bluetooth, USB 3.0, USB 2.0 ports, memory card reader, and a webcam. Some members of the Acer Aspire V5 laptop family are available in Nigeria. Acer Aspire V5 price in Nigeria starts at around N57,000.